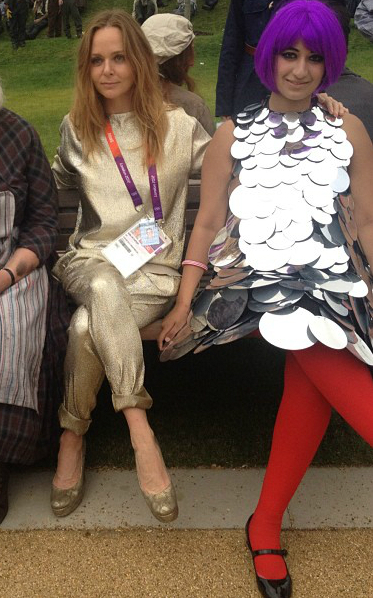 [frockwriter]: Was opening ceremony gatecrasher Madhura Nagendra suffering from Beatlemania? Was opening ceremony gatecrasher Madhura Nagendra suffering from Beatlemania? So far India has only won one medal at the 2012 London Olympics: Gagan Narang took out bronze in the 10 metre air rifle. 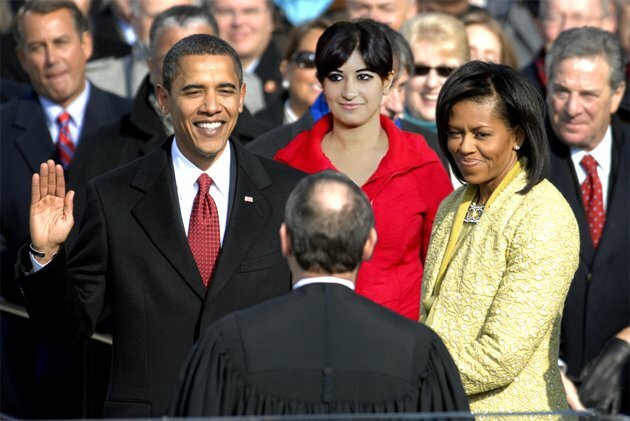 But one of Narang's compatriots has nabbed a gold medal in self promotion. 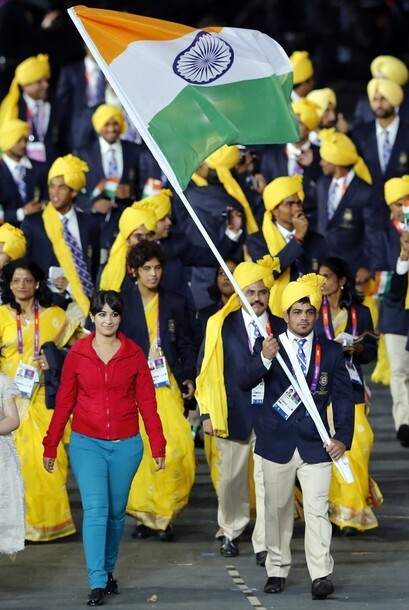 Although her father claims she was asked by organisers to accompany the team, Indian Olympic officials remain "totally dazed" as to how twentysomething Bangalore–born, London School of Business and Finance MBA student and opening ceremony dancer Madhura Nagendra managed to embed herself with the Indian team for a victory lap of the Olympic Stadium on Friday night. And she didn't just walk alongside the team. 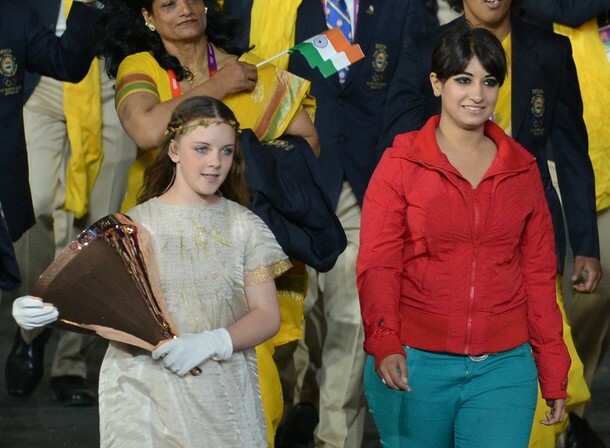 No, she was positioned front-and-centre in the most prestigious spot – leading proceedings, alongside flagbearer Sushil Kumar. According to LOCOG chairman Lord Sebastian Coe, who sent a letter of apology to the Indian delegation and is looking into the matter, Nagendra got "overly excited". Frockwriter has another theory: Beatlemania. On Friday night, high profile British designer Stella McCartney posted a series of backstage images from the opening ceremony on her Instagram account. McCartney would have had VIP access at the event. She did, after all, in collaboration with Adidas, outfit Team Great Britain in their performance kit, podium suits and village wear. Her father, Sir Paul McCartney, moreover, closed the ceremony with a rendition of Hey Jude – wearing a bespoke Stella McCartney jacket. In one of her backstage images, McCartney is photographed sitting next to three cast members of Danny Boyle's magnificent opening ceremony show. With 10,000 performers, what are the odds do you reckon that one of them would be Nagendra? 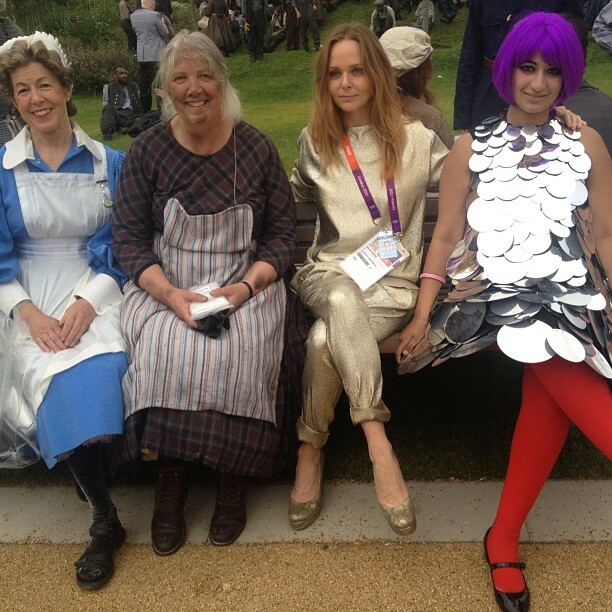 But unless she has a twin sister or doppelgänger, we would put money on the woman on the right-hand side, in the purple wig and silver disc dress, being one and the same. Could this brush with McCartney's celebrity daughter - and possibly even McCartney himself, a detail of whose bespoke jacket was posted by Stella in the same Instagram series - have been a little too much for Nagendra? Some old school acquaintances who have come out of the woodwork to comment to Indian newspapers describe her as "talented, but pushy" and "a loud, obnoxious woman" who "always liked to be in front, on stage and in the spotlight". 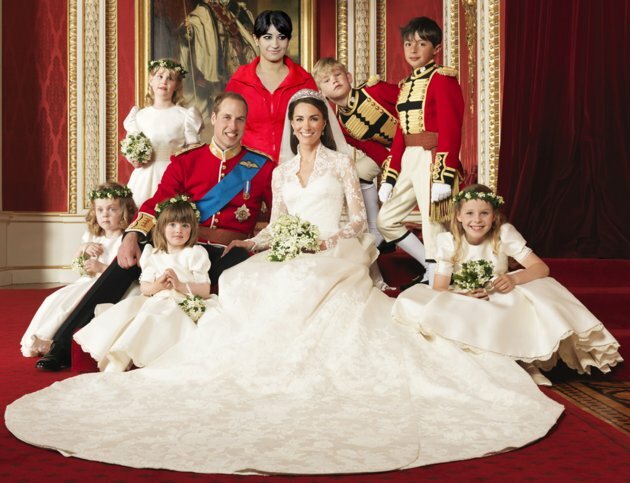 Several hours after McCartney's photo was posted, that's certainly where she wound up. For all her critics, Nagendra is nevertheless rapidly garnering a fan base. 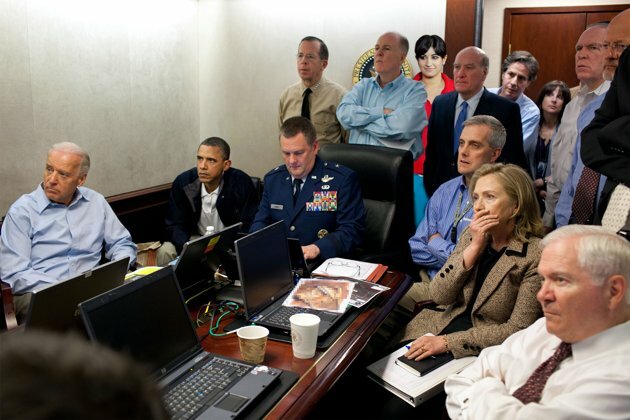 She has already entered internet meme territory, with her opening ceremony shots being Photoshopped onto various historical images to place her at everything from Barack Obama's inauguration to last year's Royal wedding and The White House Situation Room during the 2011 military raid on Osama Bin Laden (below). Yahoo! India News is even offering a meme generator so punters can make their own.